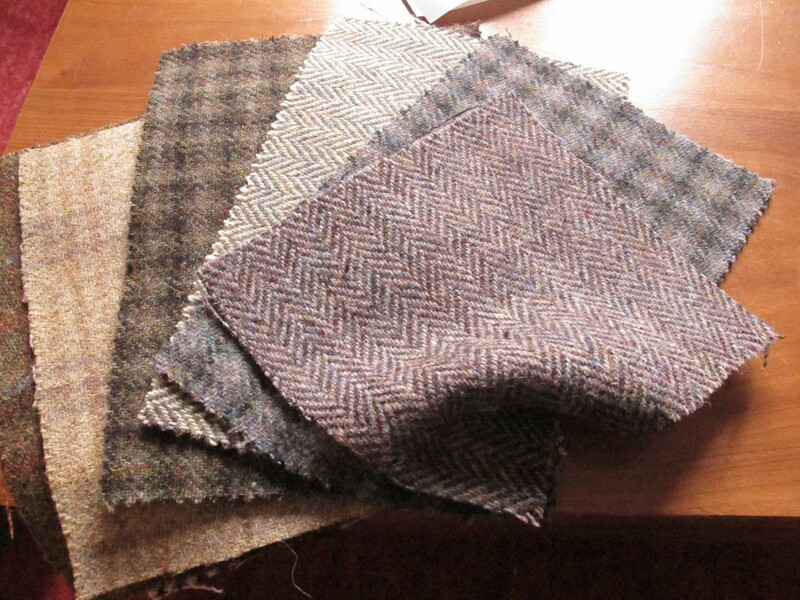 The funny thing about Harris Tweed, is that it’s a twill. One theory on why it’s called “tweed” is apparently that the word was a misinterpretation of “tweel” (i.e. twill). I think that’s a nice story! This photo doesn’t do the colour of these little samplers justice, but I’m very excited about finding something I can turn them into. 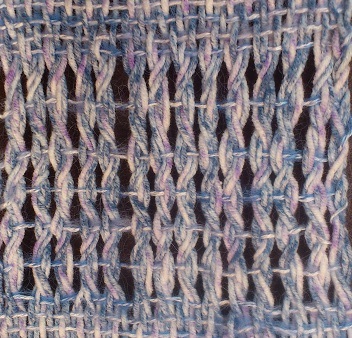 So here the weft is skipping sections of warp and making a surface texture as well as a colour pattern. This is a favourite draft for me since I tried it! I was so excited to see the texture on the surface (bonus!). In a serendipitous blooper, I put the colours the wrong way around the first time (the first image above). I got lovely chunky sections of raised colour against a flat, black warp, and that gives the cloth a different character. Some time I’ll do this draft in all one colour just for the subtle texture. I suspect a few of these broken twill patterns would yield a similar result, so I’m on the lookout for this in drafts now! Well, it’s been a busy first 6 months of weaving! I’ve made a lot of scarfs, done a few samples and even branched out to things like a hand-towel. I’ve been in no hurry to put a second heddle on my loom, despite having bought the required kit, but after doing my two and a half shaft yarn-speriment, it seemed a good time to move to three. So, on went the double heddle kit and I chose to try my hand at twill. Now the thing that I’ve been curious about with twill is it has a different drape to plain weave. In the spirit of research I decided to see how big a difference by doing my twill with the same yarns as my first scarf! The twill is on the right and, despite being denser in e.p.i. terms, it is “softer”. 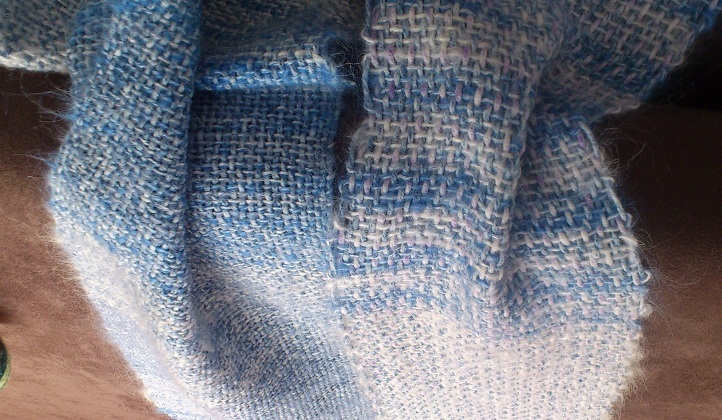 The cotton and mohair yarns are the same in both. As for weaving with 3 shafts, well, it was easy. The treadling order became a rhythm quickly and I was surprised I didn’t have to concentrate more. That got me all out of rhythm. Still, it was also an interesting thing to try in a piece of twill. 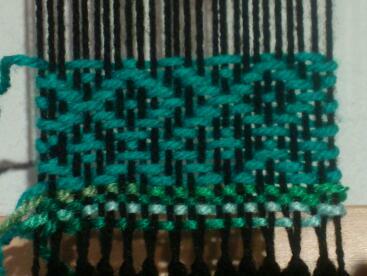 At some point I’ll tackle a 4 shaft twill, but the next application of my two heddles is definitely double weave!